Easier to grab than the Economy Quick Clean Belt because it’s 50% thicker. 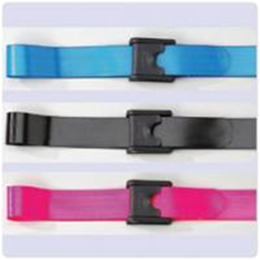 The durable polyethylene buckle is springloaded and self-locking. The laminated 2" webbing is easy to wipe clean using a mild disinfectant. Latex free.